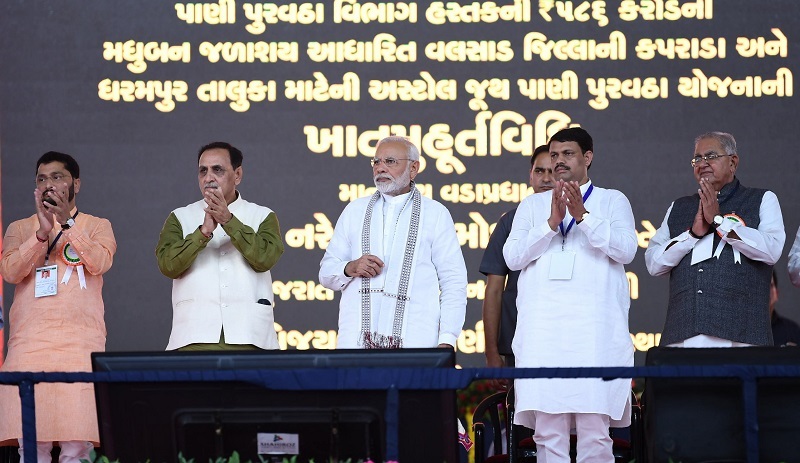 The Prime Minister, Shri Narendra Modi, today joined thousands of people in witnessing the collective e-Gruhpravesh of beneficiaries of the Pradhan Mantri Awaas Yojana (Gramin) at a large public meeting in Jujwa village of Valsad district in Gujarat. 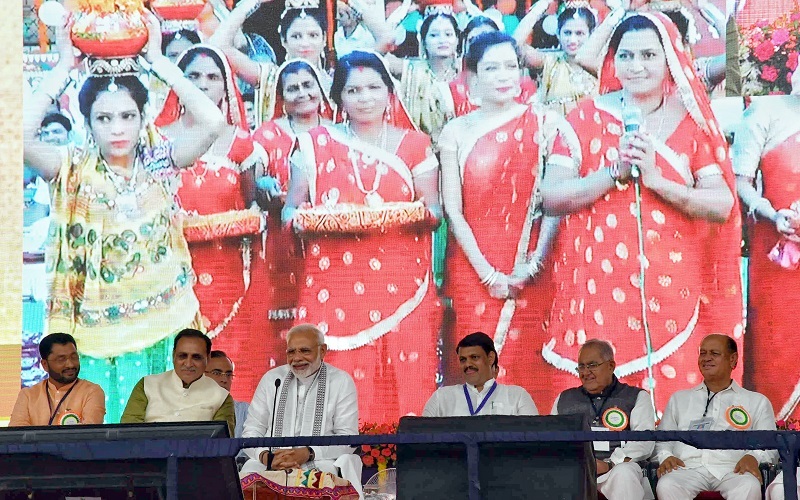 More than one lakh houses were handed over to beneficiaries, across 26 districts of the State. 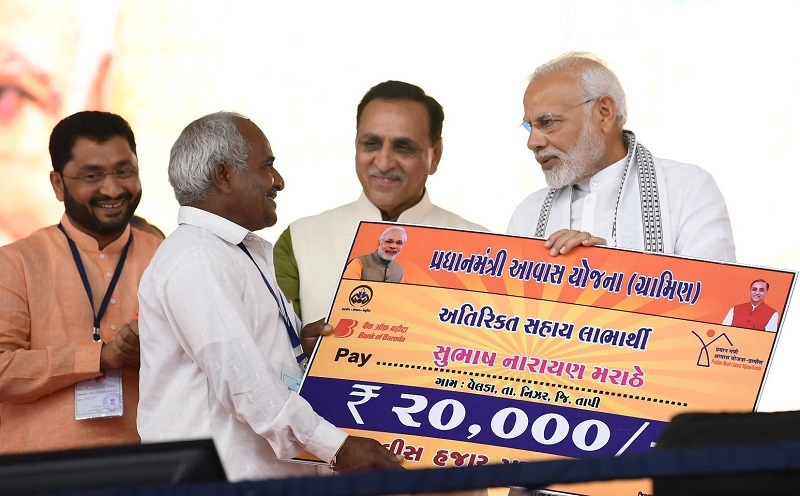 Beneficiaries in several districts were connected through a video link to the main event, and the Prime Minister interacted with some of them. I got an opportunity to talk to women across the state today who got their homes under PM Awas Yojana. It is my dream, it is our endeavour to ensure that every Indian has his own house by 2022. Till now, we only heard about politicians getting their own homes.